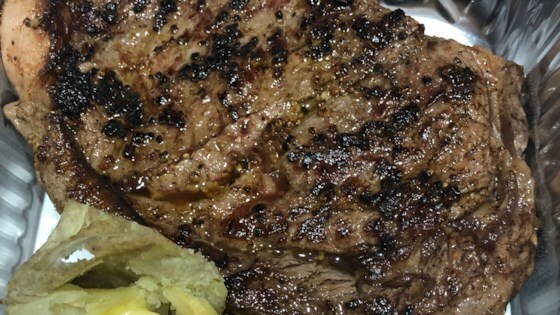 "A zesty steak recipe that is easy to make, combining the wonderful flavor of seared steak with the tanginess of mustard." Grainy mustard and steak seasoning add tangy goodness to seared steaks. This was very tasty..no salt needed...even my picky kids loved it! My husband loved it. I followed all the instructions with only the addition of crushed garlic. I will make again. This was so flavorful!! I made it exactly as the recipe called for. Wowza! Usually I am a minimalist when it comes to steak. Garlic Salt, Lemon Pepper and grill it. This recipe was awesome!